This small plant has few demands and will do well in medium light, making it a good foreground alternative to similar, small, yet light-demanding foreground plants. 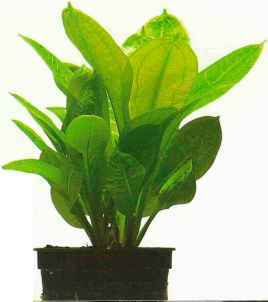 The leaves are light green, 4-4.7 in (10-12 cm) long and up to 0.4 in (1 cm) wide. An individual plant will produce many leaves and runners, eventually creating a carpet effect. An iron-rich substrate and additional C02 fertilization will help to keep it in good condition. Its size and leaf shape make the Amazon swordplant an imposing specimen, best suited to spacious aquariums. The oval leaves are up to 6 in (15 cm) long, but given the chance, the plant will also produce larger leaves above the water surface. This tendency makes it ideal for the background of large, open-top tanks. To keep the leaves submerged, regularly remove larger or taller leaves. Provide a deep, iron-rich substrate and plenty of growing room. Despite its common name, the leaves of this plant remain light green. The common name comes from a color variation that is sometimes available in which the leaf is a dark red-green. E. horemanii is adaptable and hardy and best planted in the background or singly in the midground of larger aquariums. A good nutrient- and iron-rich substrate will ensure continual good health. The leaves of this attractive swordplant are almost circular in shape, making the plant a dominant presence in a well-planted aquarium. Some color forms are available with attractive red-brown mottled leaves. 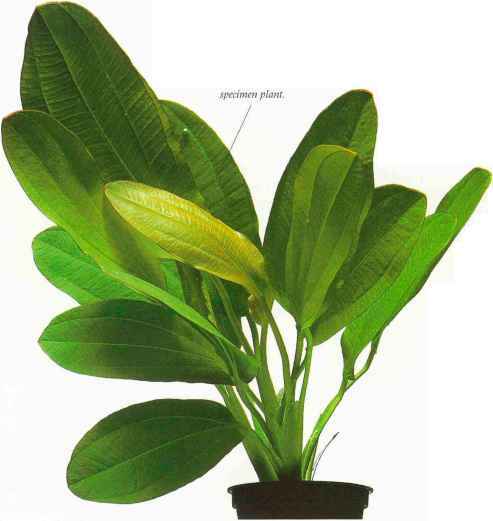 To keep the plant short and tidy, remove large and older leaves and trim the roots occasionally. Provide plenty of iron-based fertilizers. An undemanding and relatively easy-to-keep species. 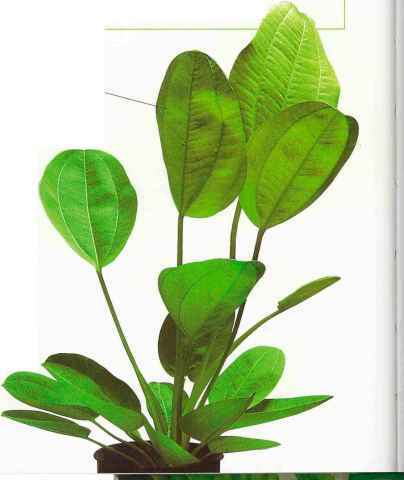 The unusual leaf shape of this plant makes it a good addition to a larger aquarium. The large veins that transport gas and liquids can be clearly seen on many Echinodorus species. The unusually ruffled leaves of E. major can grow quite large and are best suited to a spacious aquarium. long and 8 in (20 cm) wide, light green, and robust in appearance. 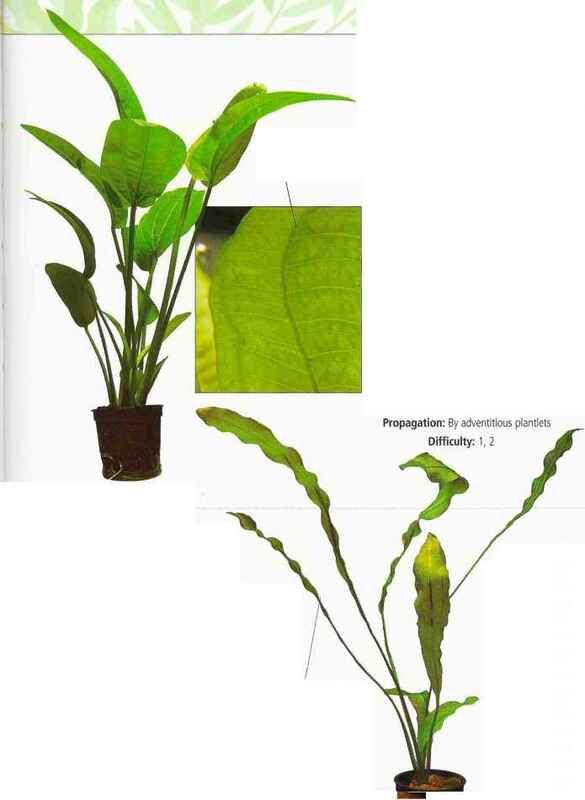 If given adequate conditions, it will produce a number of larger leaves above the water surface. Because of the substantial size of this Amazon sword, it works best as an individual specimen background plant in spacious aquariums. Ideal conditions for growth include a good iron- and fertilizer-rich substrate and plenty of light. 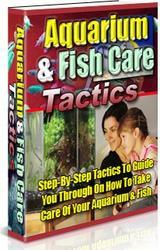 However, the plant is adaptable and should survive well in most aquariums. Removing larger or older leaves and occasionally trimming the roots will prevent the plant from growing too large. This large Amazon swordplant is similar in appearance to E. amazonicus and E. bleheri, although the leaves will grow much larger and are slightly ruffled around the edges. 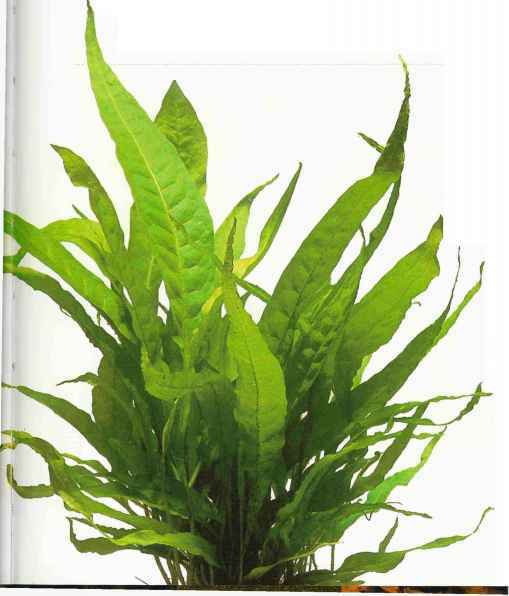 An ideal plant for use singly in larger aquariums. Provide a fine, iron-rich substrate and allow room for growth. The clearly visible veins and ruffled leaf edges make this swordplant more interesting than some others. The common name is a little misleading, as only the new, young leaves sport a slightly red-brown colour. E. osiris is relatively easy to care for and ideal as a feature plant in a larger aquarium. It does better in hard water than in soft. Provide plenty of iron, especially if the plant is kept in bright light. Can you plant individual leaves of echinodorus?